The Abbey Gateway Orchestra (AGO) is an amateur orchestra in St Albans that performs regular concerts of major works, and offers a more relaxed musical experience at a much lower cost than larger groups in the area. We have a policy of welcoming all ages and a wide range of abilities. This leads to a mix of adult and young musicians which often produces fresh and stimulating results. The orchestra regularly programmes challenging yet realistic and accessible repertoire, balancing unusual and neglected musical literature alongside some mainstream pieces. It has given first performances of works by mainly amateur local composers. AGO is less pressured than most amateur orchestras, in that we don’t give full concerts with a new programme every term, instead mixing up workshops, community events and developing a repertoire of pieces which we perform more than once. We are of modest chamber orchestra size and rehearse weekly with a full range of instruments. While we are committed to developing solo, composing or conducting talent from within the orchestra, we also have a small regular pool of unpaid guest musicians and friends who share in a variety of events. Private and public concerts and workshops take place throughout the year, which allow people to try their hand at something new, like conducting. 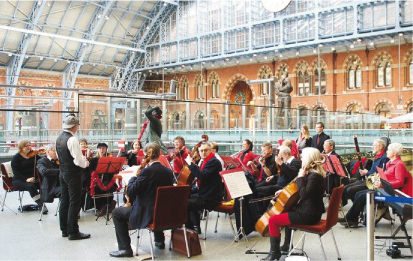 We often perform at unique and interesting venues for example we opened the Month of Music event at St Pancras International Station. The orchestra is also known for its happy social outings. Many of us follow the weekly rehearsals with a relaxing chat at the Lower Red Lion, and at various times of the year the orchestra organises well attended enjoyable evenings out at local restaurants, including summer term and Christmas meals. We rehearse every Thursday evening during school terms, at 8.00pm in St. Michael’s Primary School Hall, St. Michael’s Street, St. Albans, Hertfordshire AL3 4SJ. 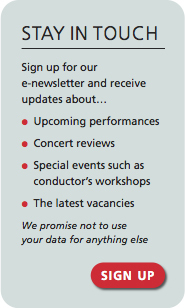 New members are always welcome, particularly in the string and brass sections. Please check our vacancies page for more information.